In case you thought the week couldn't get any worse, the International Fund for Animal Welfare (IFAW) reports tragic news from Australia, where koalas — the furry, adorable creatures that are friends to both President Obama and Russian President Vladamir Putin alike — are being burnt in brushfires in South Australia, Victoria, and New South Wales. "Imagine the cry of a baby koala, separated from its mother through the haze of bushfire smoke. 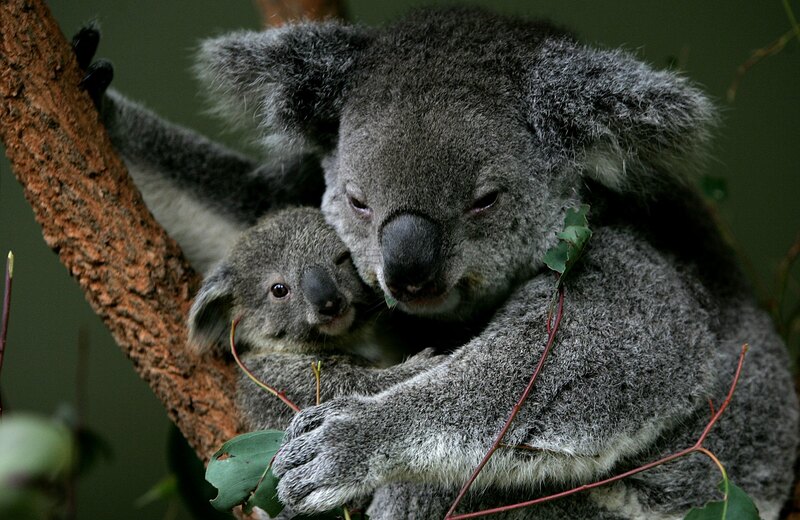 Koalas are one of the worst casualties of bushfires," Josey Sharrad, the IFAW's wildlife campaigner, writes in a heartwrenching blogpost. While other animals can escape the fires, koalas can spend up to 14 hours a day sleeping, and while awake can't typically move fast-enough to escape the fires. Instead, their tiny paws are being burnt, and wildlife agencies in Australia and abroad are trying to help rescue and rehabilitate the tree-dwellers. The heart-breaking photo above of Jeremy, the first bushfire victim of the year to pass through the Australian Marine Wildlife Research & Rescue Organization, shows just how dire the situation really is for the koalas. Thankfully, AMWRRO reports that "Jeremy has been assessed and all four paws treated for second-degree partial thickness burns, he is doing very well and is in great spirits." Australia's summer is in full-swing, and the dry, hot air provides the perfect catalyst for the brushfires. Sharrad wrote the post to encourage concerned citizens to sew koala mittens for the cuddly creatures before the fire season hits the forests full-force, which has since gone viral. Once burned, agencies like AMWRRO apply burn cream and wrap the paws bandages. Mittens cover the bandages and provide further comfort to koalas, and because they need to be changed daily, a larger mitten supply is needed to help all of the animals in need. The IFAW provided a mitten template online for people willing to make clean, 100 percent cotton mittens. Claiming it takes just minutes to sew a pair (even without much experience), the IFAW pledges to distribute the mittens to the various agencies. You can also donate directly to AMWRRO.